Last month, Google’s AI division, DeepMind, announced that its computer had defeated Europe’s Go champion in five straight games. Go, a strategy game played on a 19×19 grid, is exponentially more difficult for a computer to master than chess—there are 20 possible moves to choose from at the start of a chess game compared to 361 moves in Go—and the announcement was lauded as another landmark moment in the evolution of artificial intelligence. Google, Facebook, and IBM have all gone all-in on brain-like computers that promise to emulate the mind of a human. The ability to learn and recognize patterns is viewed as a key next step in the evolution of AI. But Oshiorenoya Agabi believes the brain-like processors are missing one key component: actual brains. Or, at least, living neurons. 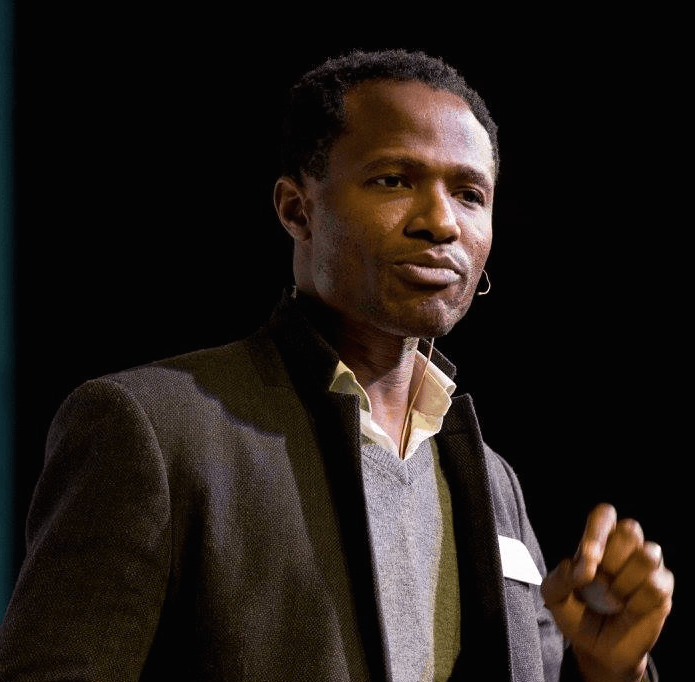 His startup, Koniku, which just completed a stint at the biotech accelerator IndieBio, touts itself as “the first and only company on the planet building chips with biological neurons.” Rather than simply mimic brain function with chips, Agabi hopes to flip the script and borrow the actual material of human brains tocreate the chips. He’s integrating lab-grown neurons onto computer chips in an effort to make them much more powerful than their standard silicon forebears. Koniku is fundraising towards a first-round goal of $6.3 million, Agabi says. It has already landed customers in the aviation and pharmaceuticals industries, like AstraZeneca, the UK-based pharma company, Agabi says, and Boeing has signed on with a letter of intent to use the tech in chemical-detecting drones. The first batch of neuron-abetted chips are set to ship in the next few months. Agabi says that one customer, a drone company, hopes the processors will prove superior in detecting methane leaks in oil refineries. Another aims to use the processors to model the effect certain drugs will have on a human brain. The future, Agabi believes, will run on a computer that’s much more alive. Part of Koniku’s funding success seems to come from his genuine, even romantic vision of neuron-based chips as the future of processing. When I interviewed Agabi recently, his excitement over the future of neurotechnology was palpable. Agabi, who was born in Nigeria, told me he first became interested in machine learning while teaching a pick-and-place robotic arm to classify objects for the Swiss robotics company, Neuronics. After eight years, he left the company to pursue his Masters in theoretical physics, focusing his thesis on the challenge of interfacing neurons with a robot. He spent the next four working to build a robotic arm that could attach to an amputee, eventually leaving to move to London to pursue his PhD in bioengineering. Basically, he hopes to build a computer chip with living, learning processors. — Want to Learn German in Jaipur or get German Classes Online in Jaipur. This ability to code specific tasks into neurons, born out of Agabi’s specialized history, is the essence of what Koniku is hoping to accomplish. Through years of teaching machines to learn, and through the study of the brain’s mechanics, he believes that his team will be able to organize living neurons into circuits built to perform precise tasks—basically, he hopes to build a computer chip with living, learning processors. “We take the radical view that you can actually compute with real, biological neurons,” he said. Since the silicon transistor was created in 1947, the amount of transistors that can be crammed onto a chip has grown from a few thousand to more than 2 billion. Today, chip manufacturers have shrunk the size of each silicon transistor to the equivalent of three strands of DNA. Agabi said that because there is a limit to how tiny you can shrink the deep lens of a silicon transistor (IBM announced the creation of a 7 nanometers transistor in July, and a single silicon atom is 0.2 nm), silicon-based processing can only get so powerful. 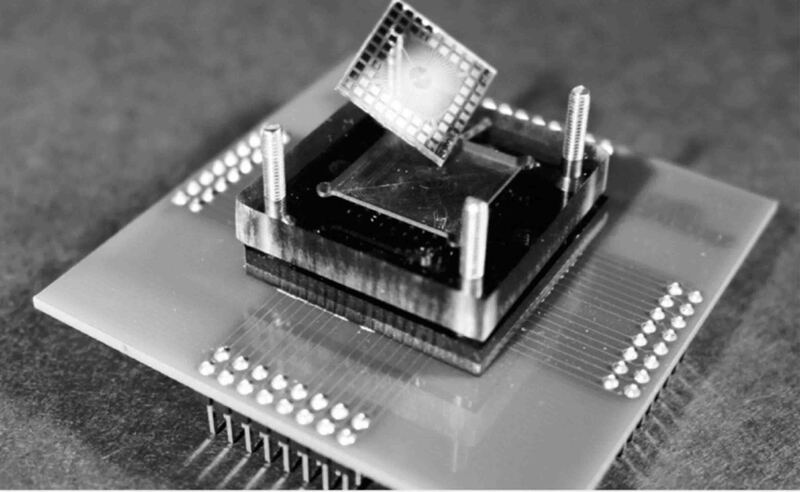 There is, of course, a quixotic quality to the dream of actually creating an artificial chip so small and powerful, but Agabi feels he’s found the path to it. I asked Dr. Evered whether he thought it impossible to ever build a chip as powerful as the human brain. For a third opinion, I turned to Sherif Eid, a systems engineer behind the deep-learning program DRIVE PX that some believe could be the key to the self-driving car. He said he was intrigued by the idea of neuron-based processors, but he said the technology was still based on a lot of unknowns. Eid thinks it will be a few decades yet before the neuron-based processors were adopted, if they were ever adopted at all. In Agabi’s view, however, the technology is inevitable—and on the horizon today. He told me he believes his chips will be powering robotics around the world within five years. Which raises the question: What happens if he actually pulls it off? When I first heard of Koniku, I was a little spooked. I’ve kept a close eye on the race toward true artificial intelligence and have been most persuaded by philosopher Nick Bostrom’s calls for caution. To me, Koniku felt like a potential Skynet moment—Agabi, after all, seemed to be planning to give the machines human brains. Dr. Evered agrees that much of the brain’s tremendous efficiency stems from its ability to learn to recognize and reinforce the optimal connections between neurons. Though we are born with 100 billion neurons, we lose 100,000 per day—and it is the ability for the remaining neurons to form connections with beneficial counterparts that determines the power of the brain. Thus, much of the challenge in creating brain-like processors will be the pursuit of programing adaptability into computers. In a lab setting, Agabi says Koniku has proven its chips are capable of deep learning—the ability to recognize patterns and retain that knowledge—by demonstrating a process called spike timing-dependent plasticity, the idea that neurons build circuits with beneficial neurons. Agabi believes his neuronic chips will be better at learning than traditional silicon processors, because they can more closely mirror human brain function. Near the end of our conversation, I asked Agabi if he thought his neuron-powered chips could be the key to powering humanity past Moore’s Law—the rule that holds that the processing power of computers will double every two years. There has been concern among some experts that Moore’s Law has plateaued and that the future of AI will rest on engineers’ ability to find faster and more efficient computation than is currently available. Agabi points out that Moore’s Law only applies to increases in computational power through the addition of more silicon processors on a chip over the last 70 years—and argues that it may just be part of a larger trend; a second law, one that describes the long-tail improvement of computing tools over the course of human history. It will, he says, take moving away from silicon itself to allow Silicon Valley to continue to innovate.